The Transformational Investment Capacity (TIC) has had a great start to 2019 with several new large-scale and incubator ideas coming from across the movement! TIC projects are aimed at transforming MSF’s ability to better meet the medical and humanitarian needs of populations affected by conflict, epidemics, disasters or exclusion from health care. The TIC Selection Committee, which is comprised of experts in technology, medicine, finance, entrepreneurship, humanitarian operations and human capital, met in both January and March to evaluate 8 new proposals and conduct 6-month project status reviews for 10 approved projects. In remote and low-resource settings, point-of-care ultrasound (POCUS) is transforming the quality of care delivered at the patient’s bedside. By using real-time information, POCUS empowers frontline health care providers (including nurses and midwives) to better treat patients in need of trauma, obstetrics or emergency care. Furthermore, use of POCUS improves diagnostic and treatment decisions, reduces hospitalization costs and decreases the volume of patient referrals. 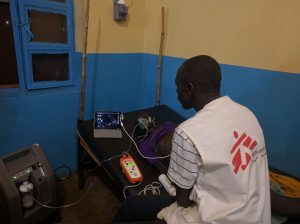 The POCUS Phase 2 project, sponsored by OCP and supported by OCBA and with strong support from MSF’s Medical and Medico-Operational platforms, will leverage the experience and success of a TIC incubator project implemented in South Sudan in 2018, as well as POCUS trainings sponsored by OCG in Niger and trainings supported by the MSF International Office in Nigeria, Guinea Bissau, and Bangladesh. The project team will focus on scaling up the use of POCUS in the field, extend the use of POCUS by developing algorithms to diagnose and treat additional medical conditions, and work on integrating POCUS into clinical guidelines. Ultimately, the goal of this large-scale project is to lay the foundation for POCUS in MSF settings and to facilitate the transition of this important diagnostic tool into MSF day-to-day operations. Read more about this project here. The MSFeCare project is another large-scale initiative that will tangibly improve the quality of care for MSF patients. The three-year project, sponsored by OCG and supported by OCBA, will see the design, implementation and scale up of electronic Decision Support System (eDSS) tools for health care providers. MSFeCare is a decision-making tool that will support frontline clinicians to perform differential diagnosis based on expert, standardized intervention protocols which are embedded into easy-to-follow algorithms. The tablet-based tool improves the quality of patient care through evidence-based diagnostics and prescriptions delivered during patient consultations. This project will leverage the experience of a previous pilot to expand the implementation and scale up of MSFeCARE-Ped to improve quality of treatment and care for children; develop and deploy additional new eDSS for medical priorities; and build a sustainable back-end support (processes and technology) to support ongoing implementation. In the countries where MSF is working today, there are still important gaps in the training of doctors, nurses and other health workers who play an essential role in the delivery of health care. The MSF Academy Phase 2 project, which is sponsored by OCB and supported by OCBA, aims to improve clinical and public health competencies for MSF health care providers by offering continuing education, graduate and post-graduate accredited programs, established in partnership with universities and professional schools. During its first phase, the project demonstrated results by delivering an 18-month training program for 50 health staff (25 nurses + 25 midwives) to support the opening of the Kenema Hospital in Sierra Leone. In phase two (which was approved in January 2019), MSF Academy will extend its impact by delivering a continuing professional development program for 1,800 hospital nurses and an 18-month training program for 40 anesthetic nurses. Furthermore, the project aims to improve the motivation, recruitment and retention of medical staff and reflect a change in MSF’s organizational culture by becoming a learning organization. The Mobile Lab for Outbreaks Control project, sponsored by OCBA, is an early-stage project that aims to develop a mobile laboratory (equipped with a team) that can be rapidly deployed to the field to investigate alerts and confirm epidemic outbreaks. By rapidly diagnosing an outbreak, this mobile lab would improve the efficiency and effectiveness of MSF’s operational response and that of other humanitarian actors. To ensure sustainability and scalability, the project team is working with Ministry of Health staff to build national health system capacity and is collaborating with the World Health Organization and other surveillance actors. 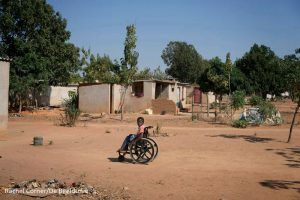 The Inclusion of Persons with Disabilities in MSF Phase 2 project, sponsored by MSF Norway is addressing the exclusion of people with disabilities in humanitarian services by raising awareness in MSF offices and in the field, sharing best practices, developing guidelines and providing transformative training for MSF staff. Building on the success of the first phase, the project team will focus on developing targeted responses for specific groups including Medical, Operations, Logistics and HR. This project is a model example of how meaningful change can be achieved through grassroots collaboration and engagement with MSF staff and associative across the movement. You can learn more about this project here. 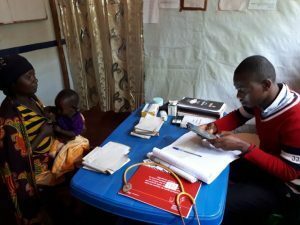 The Patient Multimedia Engagement Toolkit, submitted by the MSF East Africa Association and sponsored by OCBA, aims to better meet the health needs of vulnerable populations during their migration journey by harnessing social and digital technologies. With unprecedented levels of global displacement, migrant populations today face life-threatening challenges and are at-risk for extortion, torture and sexual violence. This 18-month project will explore the potential use of Facebook, WhatsApp, YouTube and other applications to strengthen target population self-awareness of health conditions; increase early detection of medical cases; and decrease the number of cases lost-to-follow-up (and possible abandoned treatment). By re-imagining our communications with populations in need and leveraging the experiences of two previous small-scale MSF pilots in Mexico and Colombia, this project hopes to tangibly improve MSF’s operational efficiency and the quality of care for our patients. Furthermore, this initiative represents a powerful example of “south-to-south” knowledge translation with global implications. The Strategic Procurement for Partner Sections project, sponsored by OCP and supported by MSF’s Strategic Procurement Program, aims to develop a more robust procurement function in MSF Partner Sections to realize efficiency gains, achieve cost savings, reduce supply risks and increase the transparency and traceability of purchases. 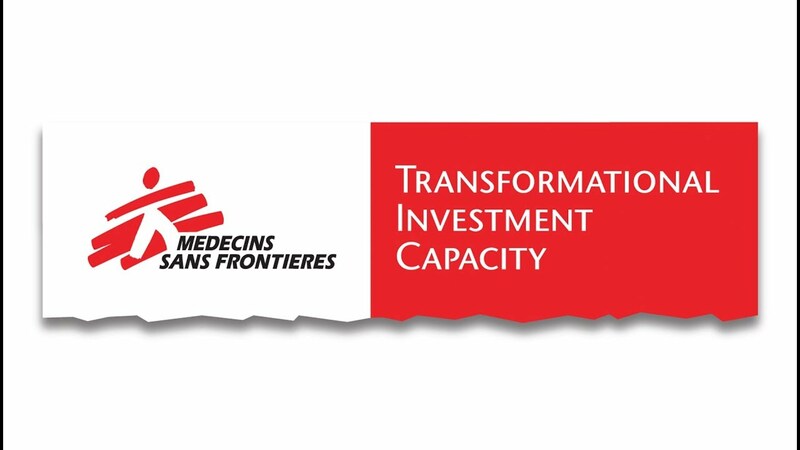 This two-year project will pilot a procurement analysis and approach at MSF-USA and MSF-Canada to leverage purchasing power with vendors in North America and beyond. We’re pleased to share that the Leadership Education Academic Partnership (LEAP) recently launched its first cohort earlier this year! The LEAP programme is a flexible higher education programme developed for MSF and the wider humanitarian sector and is open to all aspiring leaders within MSF, regardless of their position, profile or nationality. The programme is built on a ‘blended’ learning model (online and face-to-face) to suit the working rhythms of MSF field work. The LEAP academic partners are the University of Manchester’s Humanitarian and Conflict Response Institute and the Liverpool School of Tropical Medicine. After receiving 380 applications in its inaugural year, 48 MSF staff from over 30 countries were selected and began studying in March. LEAP continues to grow in popularity as a key programme to invest in and develop MSF’s leadership. Learn more about this TIC project here. The Solar AC project has the potential to transform the way energy is generated in MSF field missions by exploring the use of solar and hybrid power. This incubator project, sponsored by OCP and supported by MSF’s Swedish Innovation Unit, seeks to address the high-cost and reliability challenges of fuel consumption for air conditioning in MSF field operations including operating theatres, patient consultation rooms and cold chain environments (air conditioning is known to be one of the largest drivers of fuel costs and is essential for delivering quality medical care.) After sourcing various affordable product options for testing, the project team began the pilot phase this past December in Haiti. Results of the pilot demonstrated success in achieving efficiency gains with continued monitoring planned. 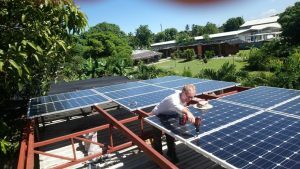 Following the positive outcomes of this project in helping to lower costs and reduce the carbon footprint of MSF projects, Solar AC Units have been added to the MSF Logistics and Supply catalogue and are now available for order by MSF projects. Learn more about this TIC project here. Urban MSF Spaces is an incubator project that is engaging MSF members and volunteers to take action on shared issues and create change, starting from our own communities. By creating a global dialogue, exploring synergies and sharing tools and best practices, the project team is building ways for groups and communities to mobilize more effectively and create links with wider civil society, in support of MSF’s social mission. 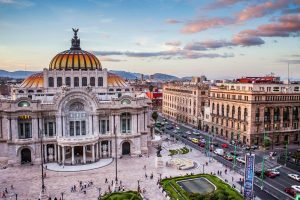 The project, which is sponsored by MSF Greece, kicked off in January 2018 to create 6 urban hubs of action in Athens, Istanbul, Johannesburg, Mexico City, Montreal and Turin. Since then, London, New Delhi and Barcelona have joined the project as contributing cities. As a starting point, the project is focusing on the issue of global migration and responding to the challenges faced by migrants and refugees. To date, over 60 MSF focal points in these cities and 50 representatives of civil society networks as well as migrant and refugee communities are currently engaged and developing local activities, with the aim to reach out to over 500 multipliers of action in 2019. You can read more about this project and find a recently developed project toolbox which contains useful tools, resources and ideas for mobilizing here.